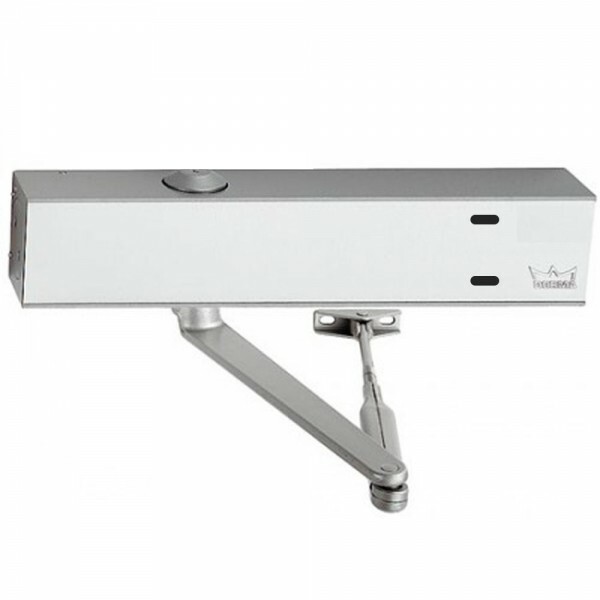 The 1800 Series is an electromagnetically controlled door closer for use on fire and/or smoke barrier doors. The Swing Free (SF) function is designed for buildings where it is desirable to have fire/smoke doors operating as if there were no closing device fitted under normal circumstances, but must be self-closing under alarm or loss of current. The 1816 door closer has been developed to inexpensively guard a single door opening from smoke and fire, in place of an array of expensive products. In addition, it will allow unimpeded, easy access throughout a building while not affecting its integrity to control the spread of smoke and/or fire. In emergencies, the holder will release and the closer will take over to close the door. Fire-rated doors must be self-closing and self-latching to meet code. A Holder Release unit allows the door to remain open but still meet fire code. 24V DC / AC or 120V AC. 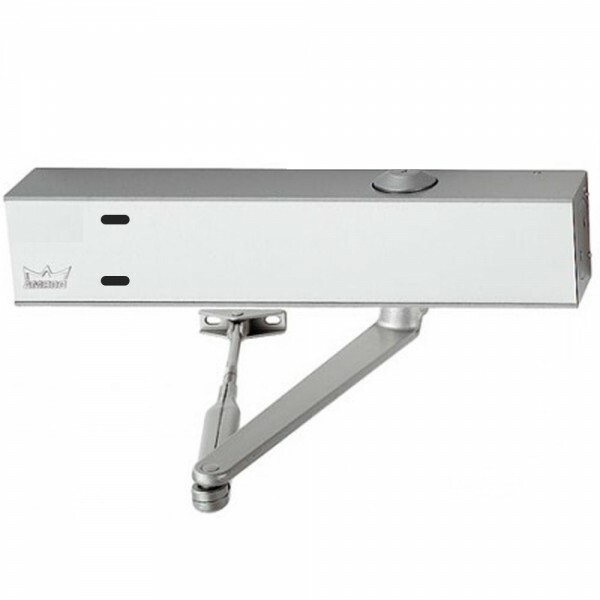 Top Jamb mount on Push side of door (standard closer arm supplied). Interfaces with new or existing smoke/fire control systems. Supplied WITHOUT integral smoke detector.